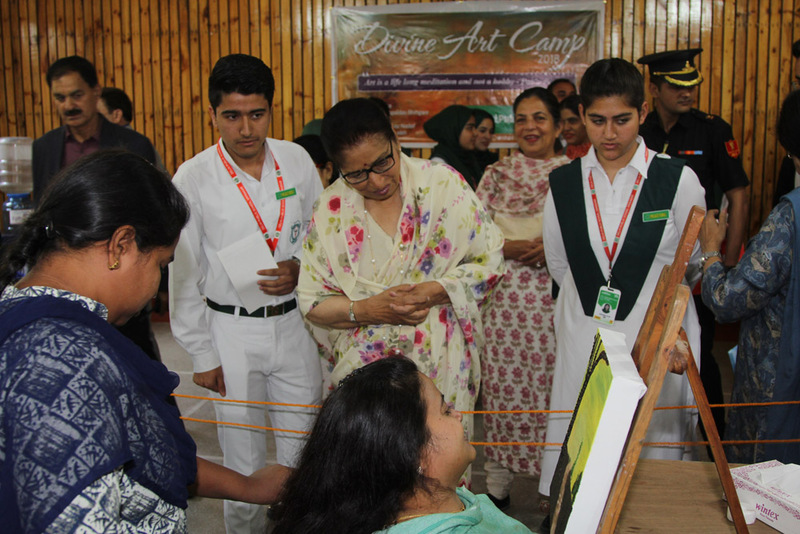 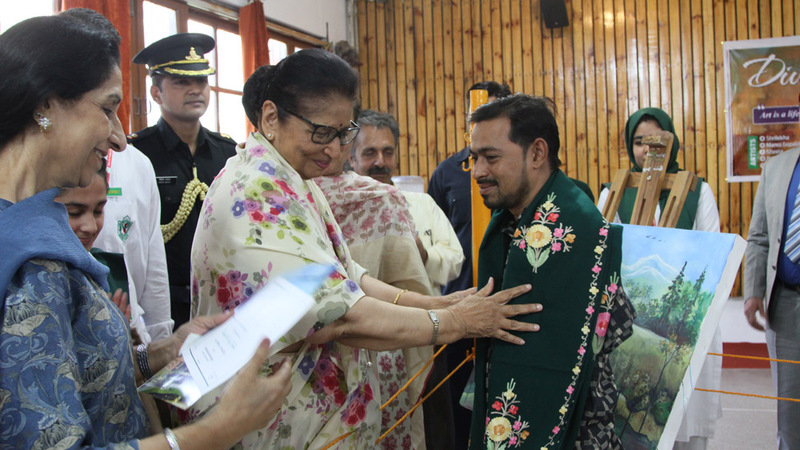 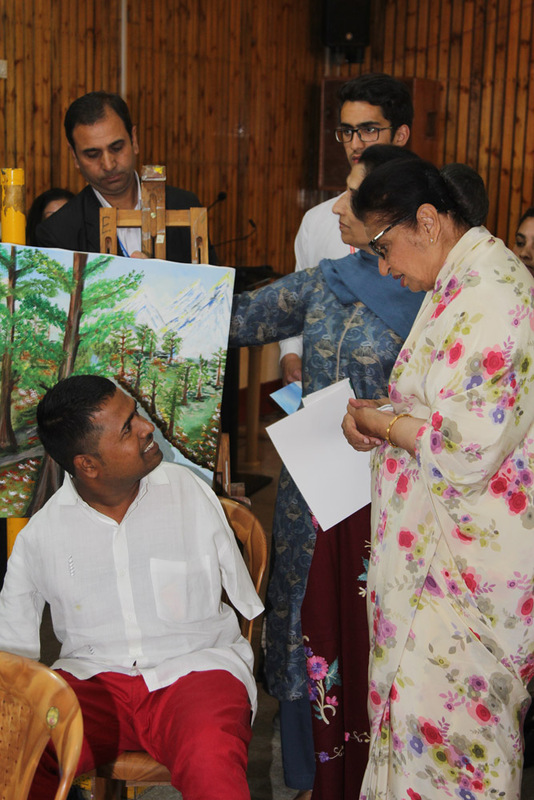 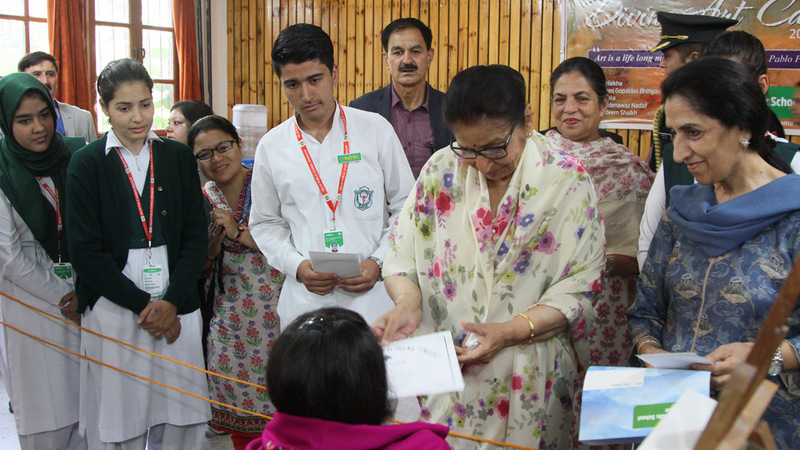 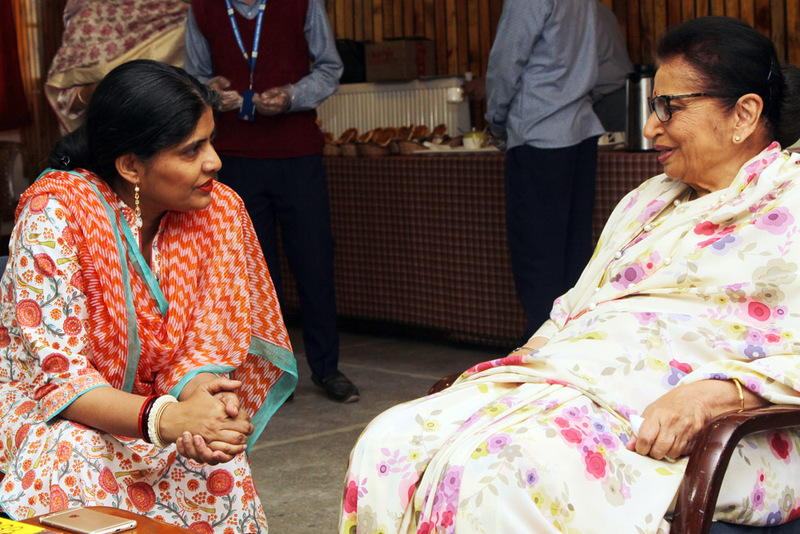 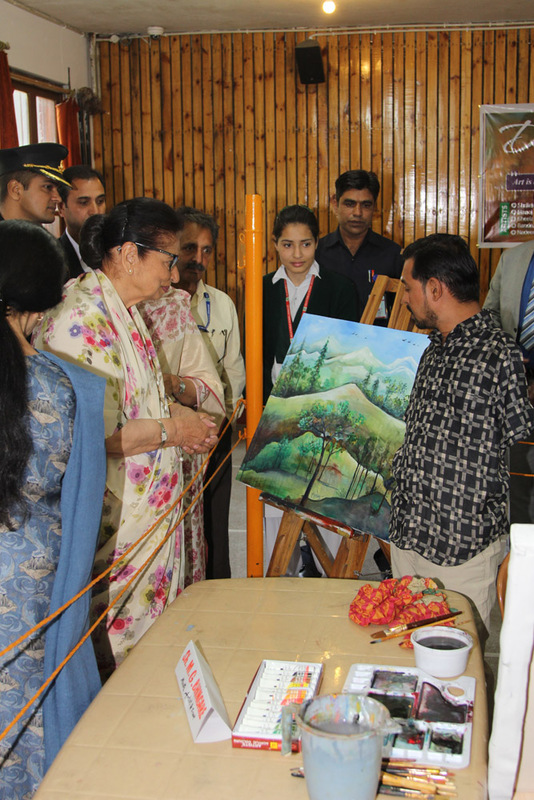 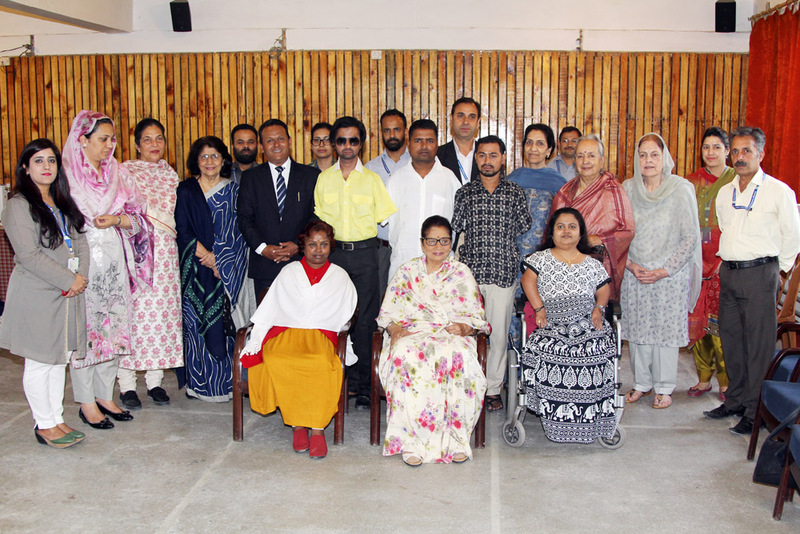 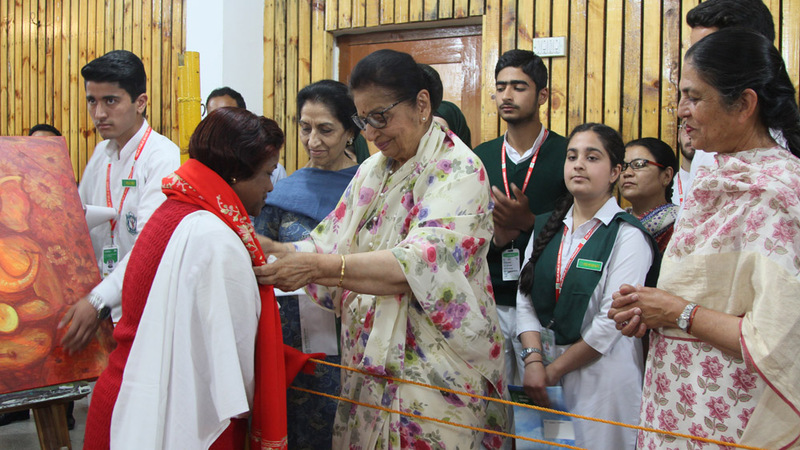 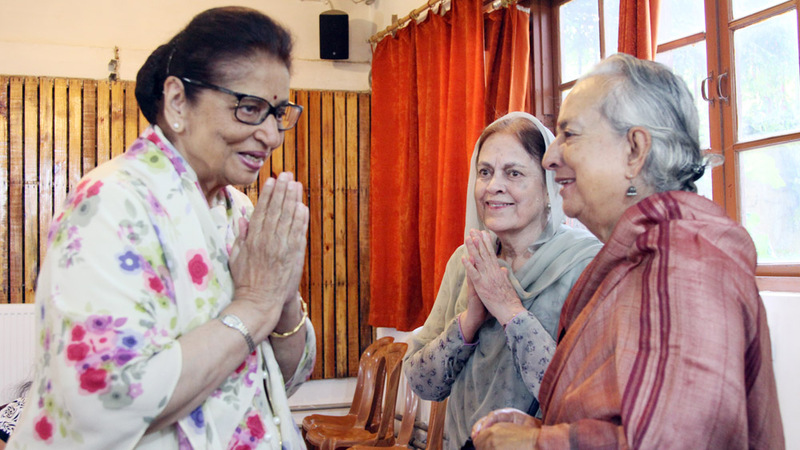 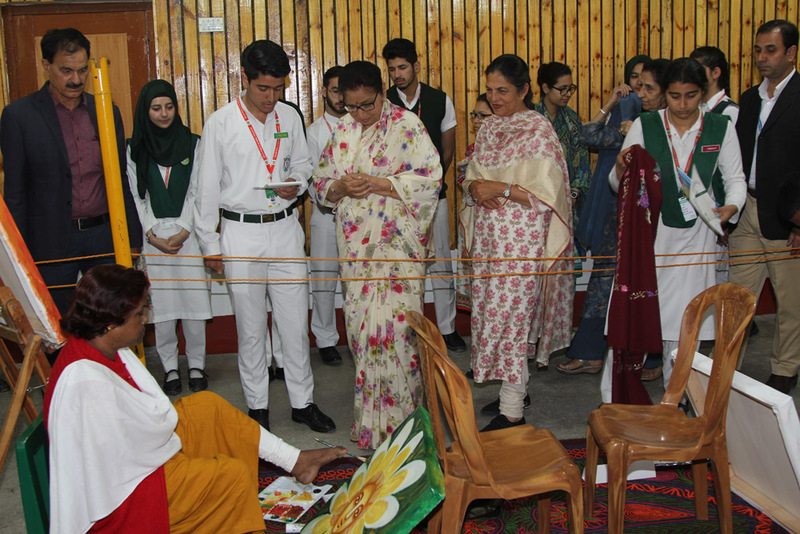 The first lady of Jammu and Kashmir – Mrs Usha Vohra paid a visit to inaugurate an art workshop “Divine Art Camp” being held for differently abled participants from different states of India. 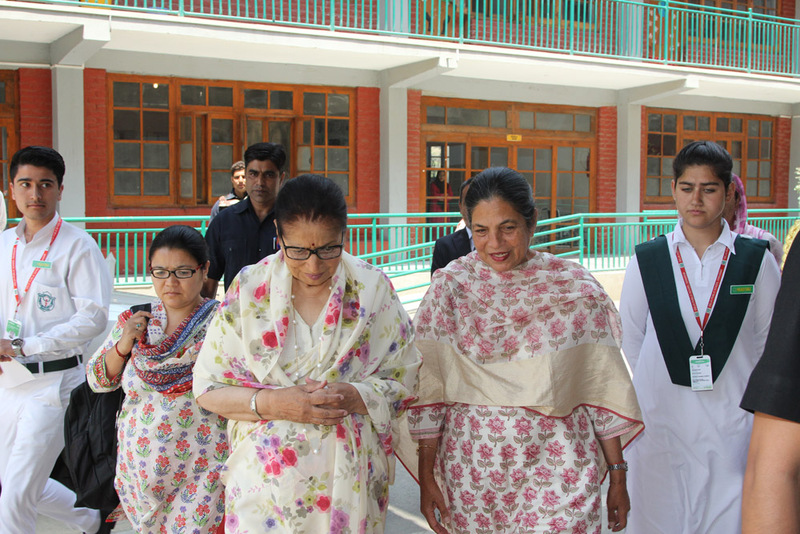 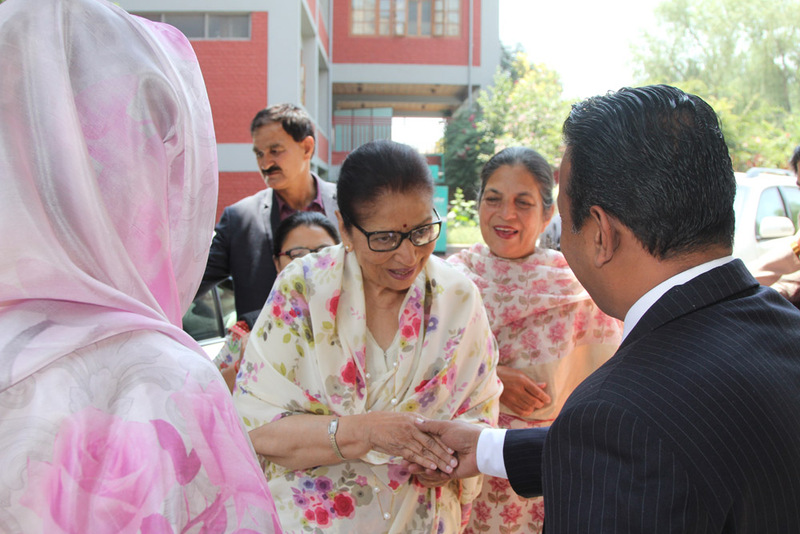 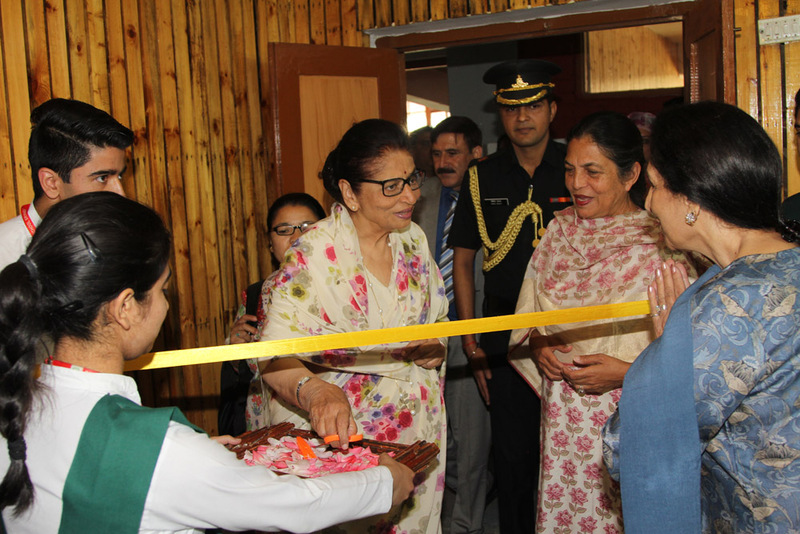 The first lady was escorted by school chairperson Mrs Kiran Dhar, PTA members Mrs Neerja Mattoo & Mrs Suraya Mattoo, principal Mr Alistair R.A Freese and the vice-principal Ms Shafaq to inaugurate the camp. 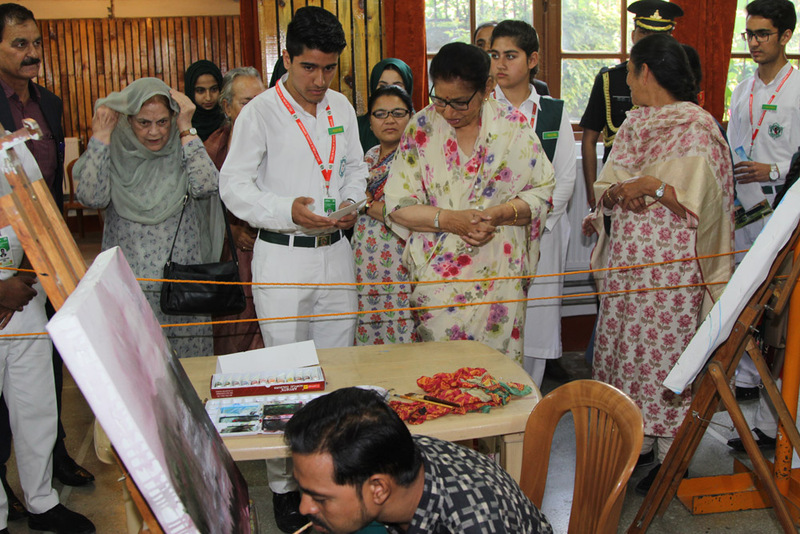 The five ‘foot and mouth’ participants include 5 males and 2 females of the camp. 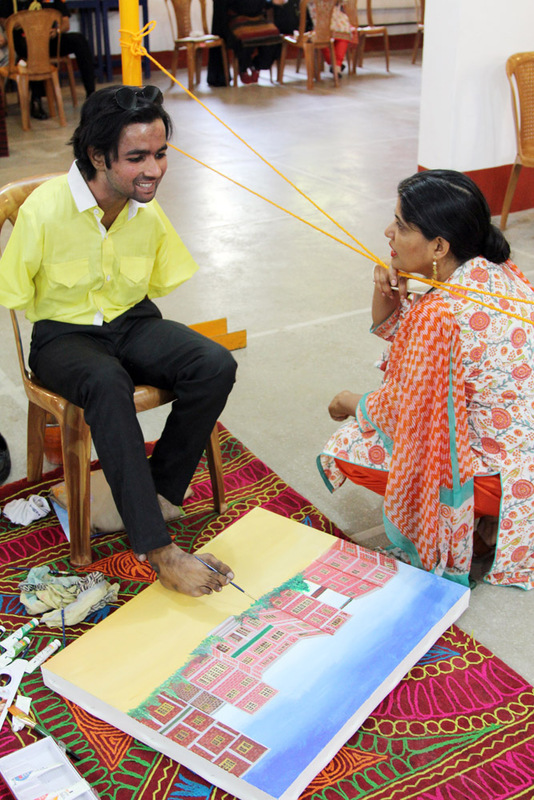 They demonstrated their immense talent and grit by painting with their hands and feet. 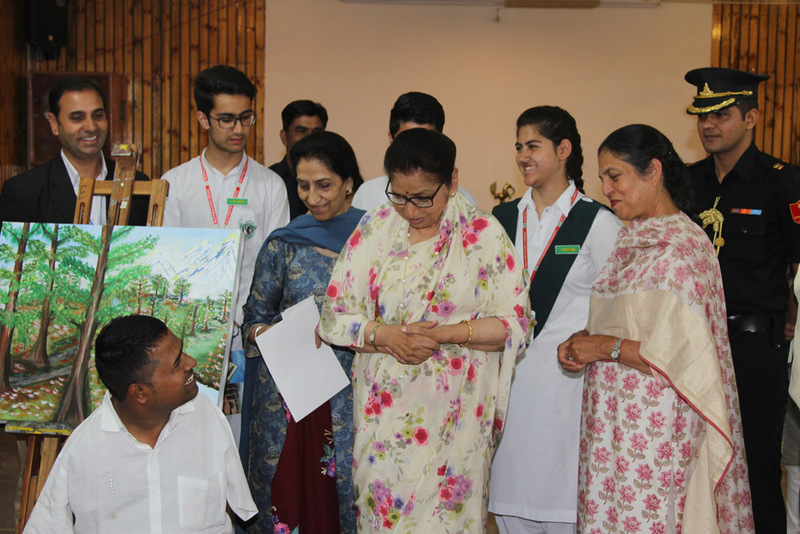 The students and the teachers of DPS interacted with the participants and learnt their inspiring stories. 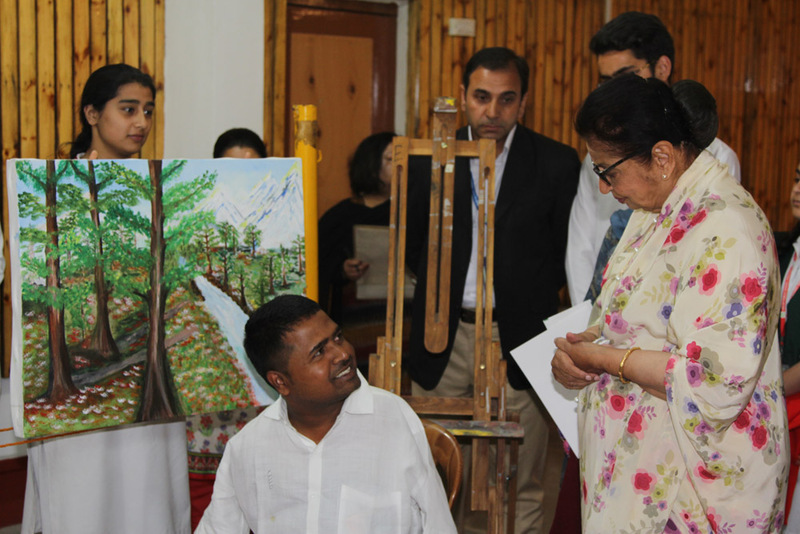 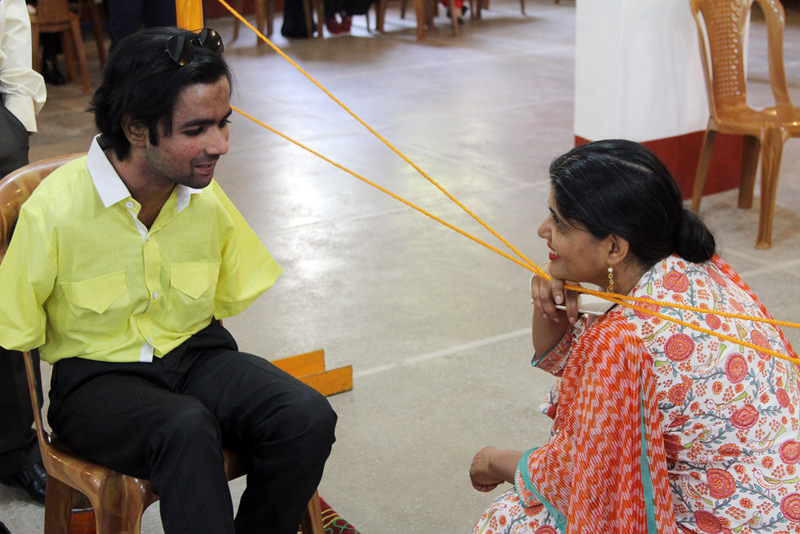 The camp adequately demonstrated that being differently abled does not stop one from showcasing one’s talent. 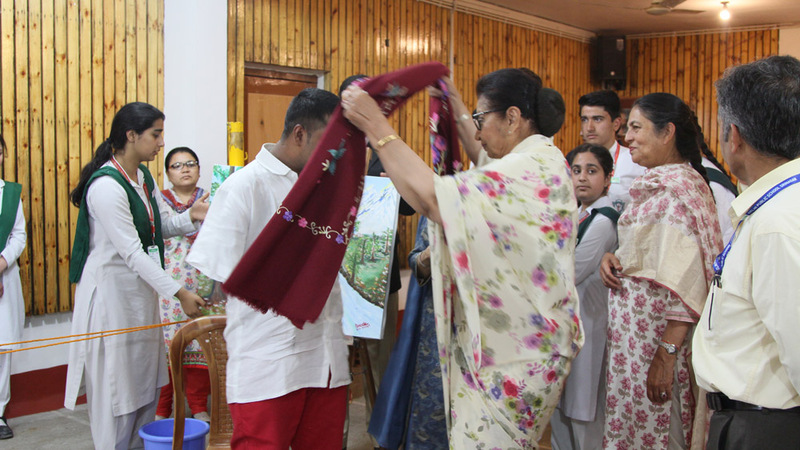 The lady governor interacted with the participants and gifted them with shawls and certificates as a token of appreciation. 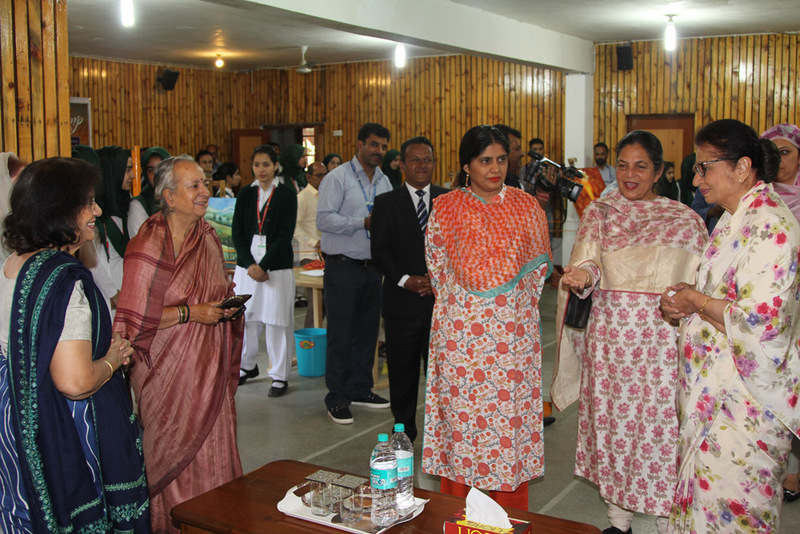 She congratulated the school for it’s “yeoman services towards creating an atmosphere of inclusivity.” The Chairman expressed her gratitude towards the participants, and reiterated “the school is committed towards providing a platform to every kind of talent and inspiration.” She also informed the gathering that school is coming up with state of the art facility for Specially Abled Children which will be commissioned in next few months.